Plenty of remasters have been released in recent times, and it seems like these released won’t be slowing down anytime soon. Not all publishers are keen on them, as they prefer to provide customers with brand new experiences, but even those who haven’t published any remasters are open to the idea, like Take-Two. In the latest Take-Two financial report, Take-Two CEO Strauss Zelnick has talked about remasters, stating that the publisher is open to release remasters if they are going to look great creatively and if the resulting games are exciting to consumers. Mr. Zelnick also added that these remasters would have to reflect well on the brands and the company itself: if all these conditions are met, releasing remasters could be a compelling opportunity. Take-Two has yet to announce any remaster, but it’s extremely likely that BioShock: The Collection will be released in the near future in all regions on consoles. 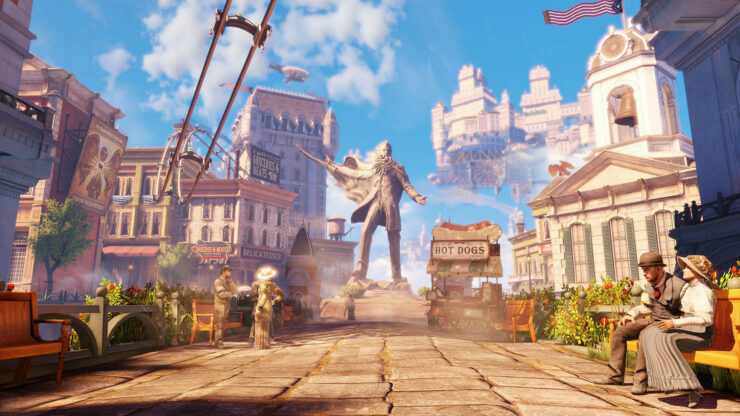 This collection, which has been revealed thanks to the Brazilia Advisory Rating Board, is apparently going to include all entries of the series, including the latest one, BioShock: Infinite, released some time ago on consoles and PC. BioShock: The Collection has yet to be confirmed officially, so details are still scarce on it.